The summer of 2012 seemed to be the summer of Saisons on ithinkaboutbeer.com I probably reviewed at least a half-dozen of them. Yet, I never reviewed the granddaddy of them all: Saison Dupont. I know, many people have reviewed this legendary beer. What more could I add? Sometimes, it doesn’t matter. I do this blog for love of beer and writing. If people enjoy what I have to say and how I say it, so much the better. Saison Dupont has long been a personal favorite of mine, a perennial contender for my “desert island beer.” Over the summer, however, this beer gained a lot more personal significance. This summer was my big visit to Belgium. Before I departed for Belgium, my partner’s bestfriend growing up and her Belgian boyfriend would be visiting the Pacific Northwest. I was excited to meet the people I had talked with over facebook and would be staying with in Belgium. We had them over for dinner and beers. One of the selections I bought was Logsdon’s Seizoen. My new Belgian friend was excited to try this beer. He had seen it in the store and was excited to see an Oregon beer bottle with a Flemish word on it (He’s a Fleming from Antwerp.) But why was the Flemish word for “Season” on an Oregon beer bottle? He didn’t know about Belgian Saisons. I explained to him about Saisons and their Wallonian heritage. That’s when I found out that most Belgians drink their regional beers and that Wallonian beers don’t really make it into Flanders. It became my goal to introduce him to the beers of his French-speaking countrymen. After a week in Belgium, my first opportunity came at the Cafe Rose Red in Brugge. I spotted the Saison Dupont on the draft menu and ordered us a round. Today, when I found out that I’d passed my Certified Cicerone test, I headed to my favorite beer shop to grab a few special beers to celebrate the occasion. I saw the Saison Dupont label, smiled inwardly, and grabbed a bottle. This beer had to be part of my evening. Appearance: Hazy, honey blonde with a rocky white head. Huge head retention. Taste: The high ester and phenol level of this beer give a very velvety, oily mouth-feel that is sweet, yet is balanced by the earthy nature of the hops and grains. The finish is mouth-watering and long. All 3 major flavor elements; malt, hops and yeast, are in harmony with yeast being the leading element. Overall Impression: Saison Dupont is simultaneously the flagship brewery behind the saison style and the leader in its future. This is a classic. The balance is incredible, especially when you consider the intense complexity of what is ultimately a really easy to drink beer. You don’t have to think about this beer when you drink it, but it would be a shame to not pay attention to it. If you’re ever in doubt about what beer to pair with your dinner, this beer is probably your easiest choice. Saisons work with just about everything. The intense carbonation is great for scrubbing your palate. Availability: Nationally in better beer stores. Check out their importer, Vanberg & DeWulf which is now a part of Total Beverage Solutions, for more details. 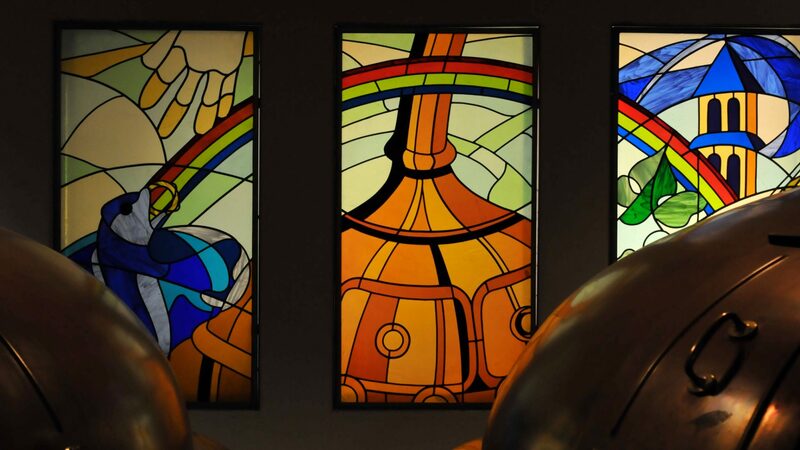 You can read more Brasserie Dupont reviews on my page dedicated to their brewery. I agree with your assessment 1000%! This is just a fabulous beer and one that I always consider ordering when I see it on a menu since it goes with pretty much anything. Since you liked this one, I suggest that you try their Posca Rustica and Avec Les Bons Voeux. Both are somewhat different from the standard issue Dupont, yet spectacular in their own right. For the sake of experimentation, you might also try their Special Belge. Though I didn’t care for it, I’d love to hear your thoughts. I’ve had both before. I’ll be reviewing them in detail in the coming months. I actually had some Avec Bons Voeux on draft while I was in Belgium. Wonderful. Congrats. This beer is indeed awesome. And I agree with g-lo. Its versatility can’t be overstated.